The Lake Tahoe Ski Resort is actually 15 ski areas, set in 27,000 acres of ski terrain with 200 lifts and more than 1000 trails. Heavenly, with the highest slopes at over 3000m, is the destination resort that most people link with Lake Tahoe, with Squaw a close second. Although Heavenly is high it takes no chances with snow cover and claims the largest snow-making system on the West Coast. With more than 85 trails Heavenly is famous for exhilarating cruising and glorious lake views. For real off-piste challenges, skiers and boarders should head for Killebrew Canyon and Mott Canyon, where double black diamond chutes and bowls offer excellent powder skiing. Mogul-lovers will want to test their legs on gunbarrel. The most popular airline gateway for Lake Tahoe Ski Resort is Reno, Nevada. From Reno, driving time is about 1 hour to Tahoe City (at the north end of Lake Tahoe) and 1.5 hours to the towns of South Lake Tahoe, California and Stateline, Nevada. South Lake Tahoe and Stateline, on the southern end of the lake, are separated only by a sidewalk. The high-rise casinos on the Nevada side make it easy to spot the state border. Squaw Valley: 8km (5 miles) north of Lake Tahoe and Tahoe City. Heavenly is in the heart of South Lake Tahoe, good base for visiting other resorts. 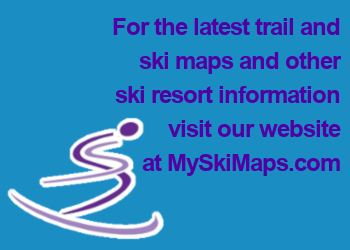 Large selection of ski resorts around the lake, lots of tree skiing available, outstanding scenery. Car necessary if wanting to access all areas; limited traditional 'alpine charm'.